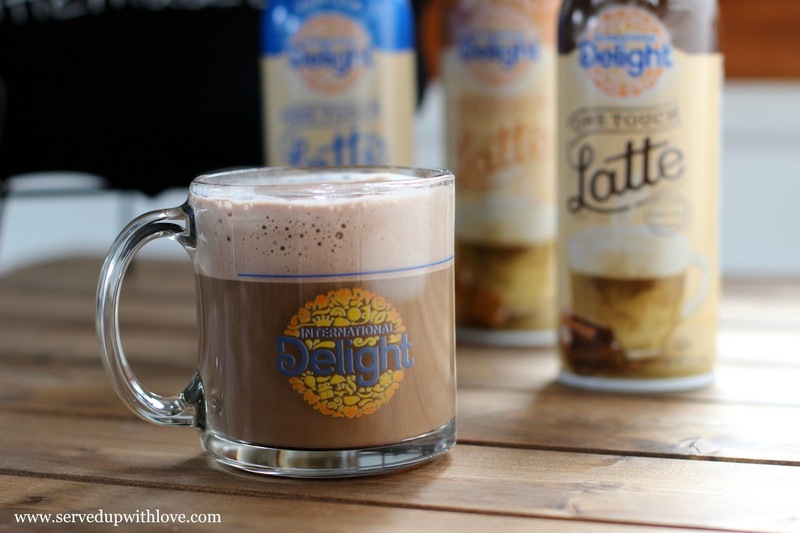 Served Up With Love: Lattes at Home in 3 Easy Steps! 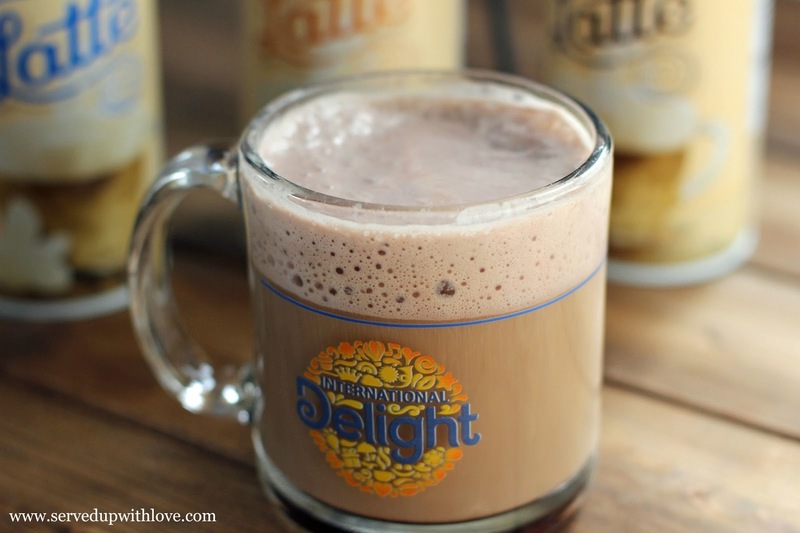 Lattes at Home in 3 Easy Steps! Who else loves a good latte? I know you can't see me but I am raising both my hands (my cat thinks I'm nuts). In my neck of the woods, we don't have a coffee bar at our disposal when the urge strikes. So I have to improvise when it comes to my coffee fixes. While talking with my niece the other day she was telling me how she doesn't like coffee. Say what?? I remember those 20 something days when I didn't like coffee either. Once I hit my 30's it was all I wanted and now that I am in my 40's I can't go a day without it. Isn't it funny how things change as we get older? Like I said, we don't have a fancy schmancy coffee bar to go to locally to indulge so I was tickled pink when I found out about International Delight® One Touch Latte™. I couldn't wait to try it out! Be on the lookout at your local Walmart, its hitting stores now! In 3 EASY steps you can turn your cup of coffee into a latte in the convenience of your own home. Simply fill a cup 2/3 with coffee. 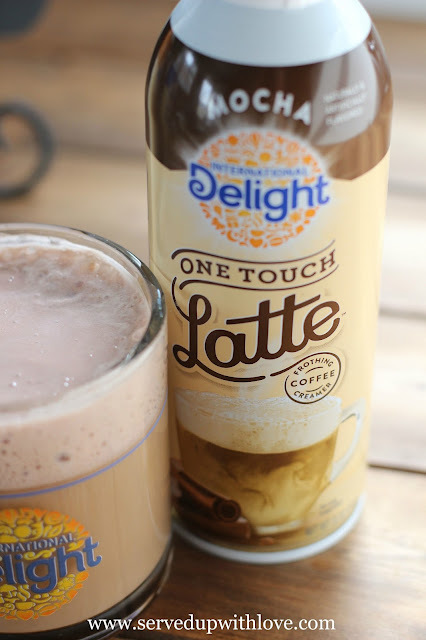 Shake the One Touch Latte™ can. Press and hold 5-7 seconds over your coffee. International Delight® One Touch Latte™ turns that plain-jane cup of coffee into a sweet and creamy, frothy, foam- topped latte. Need I say more? See it really is that easy! 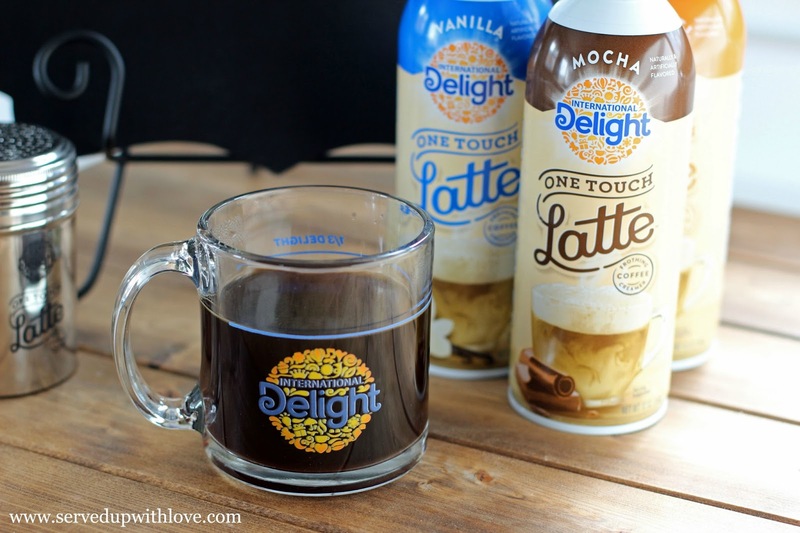 Each can of One Touch Latte™ will make about 7 lattes. There are three different flavors; Vanilla, Caramel, and Mocha. Which one will you make first? Fill a cup 2/3 with coffee. Press and hold 5-7 seconds over your coffee. *Please note, this product is rolling out in stores now so be on the lookout.